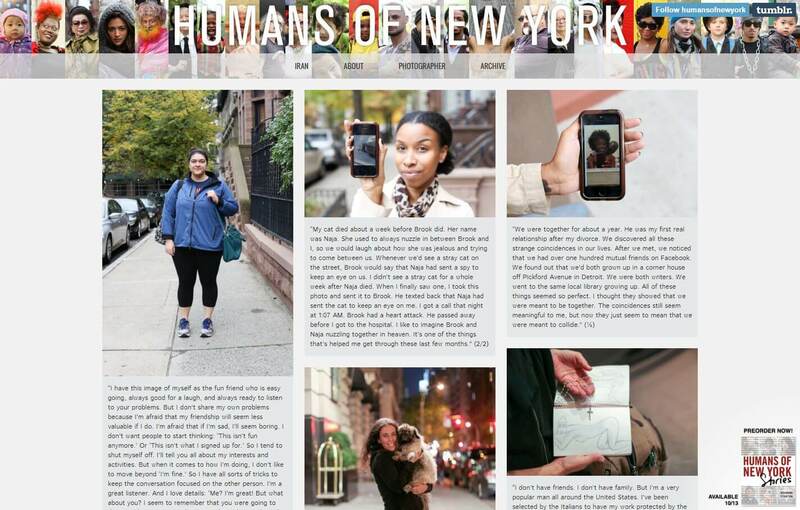 Humans of New York resulted from an idea to construct a photographic census of New York City. I thought it would be really cool to create an exhaustive catalogue of the city’s inhabitants, so I set out to photograph 10,000 New Yorkers and plot their photos on a map. I worked for several months with this goal in mind. But somewhere along the way, HONY began to take on a much different character. I started collecting quotes and short stories from the people I met, and began including these snippets alongside the photographs. Taken together, these portraits and captions became the subject of a vibrant blog, which over the past two years has gained a large daily following. With nearly one million collective followers on Facebook and Tumblr, HONY now provides a worldwide audience with glimpses into the lives of strangers in New York City.